Technology is transforming architecture. From 3D printing to touch-screen drafting boards, innovative hardware has frequently grabbed the spotlight in recent years, but there has also been a revolution in the way architects harness software, particularly that which allows them to design and manage projects on the go. Since the advent of the smartphone, architectural apps have proliferated at an extraordinary rate, and the best among them have completely changed how creative professionals work, both in the studio and on the construction site. This time we are here with an app of the same breed, “Hyve”. 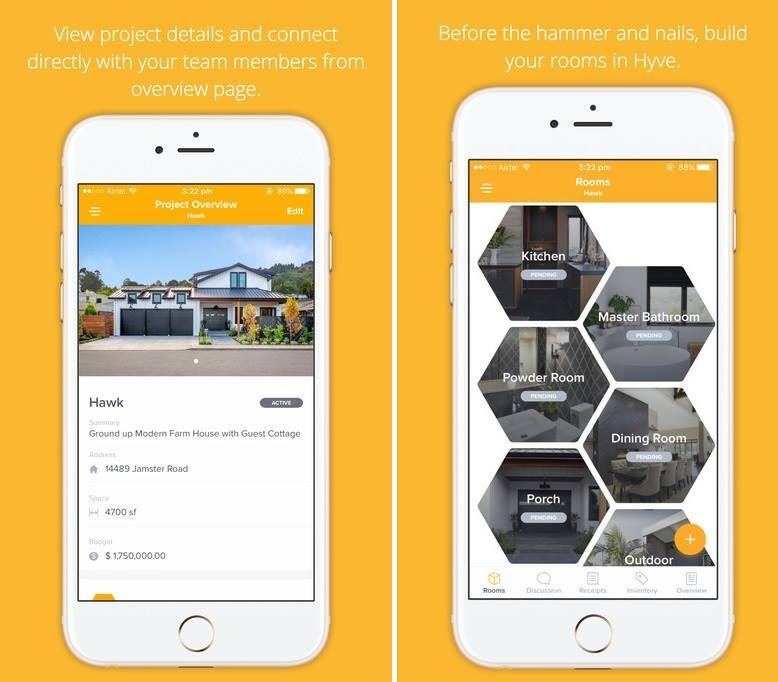 Hyve is an architecture organizational app for iOS that allows you to manage architecture related projects with great ease so everything goes in an order. This app id good for both professionals and homeowners to stay organized as it create an awesome communication platform for both of these. Either you are planning to build new house or if you are thinking renovate some rooms it helps you in both scenarios. This app gives you a chance to be the part of team you hired for your project. It will guide you throughout the project and in each phase of the project. You can create a product inventory list for each of the room and set your budgets for each of them. Moreover, by using this, you can easily communicate with your hired team on the go and it is great platform to track the progress of your ongoing project. There are boards inside this app that allows you to post inspirational architectural designs, which make an ease for everyone to follow the idea you want to implement to your home, and much more… to reveal more amazing features download this app today free for your iOS devices and keep everything in an order. It offers three different premium packages, which you can select, based on the duration of your project.